Economic model used for Nigeria’s recovery was copied from Lagos– Adeosun – Royal Times of Nigeria. 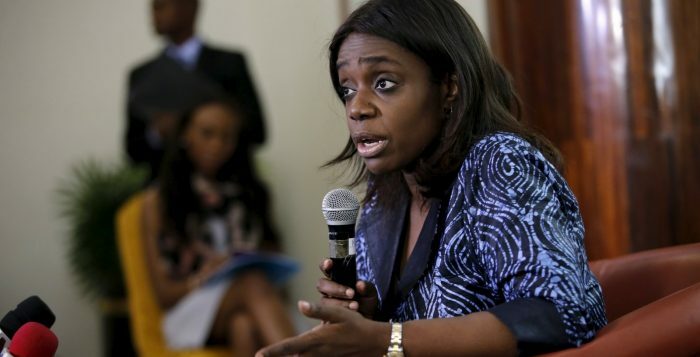 Minister of Finance, Kemi Adeosun has said the economic recovery strategy employed by the Federal Government was copied from Lagos State. Adeosun said this on Tuesday at the colloquium organised to celebrate the 65th birthday of Bola Tinubu in Lagos. The minister said the successful model adopted in Lagos is being used at the Federal level. She said; “The economic template we copied from you is now being implemented for the economic recovery of the country and we are not ashamed to say it,”. “Many states are now adopting the same model created by Lagos because Lagos is growing due to the working tax system in place”. “Nigeria needs multiple streams of revenue, the country can have steady economic growth if we consume what we make”. “We need to support the economy with the infrastructure needed to create jobs for our young people. We will change Nigeria by consuming what we make for Nigeria to survive,”.